Dive into the color I've whipped up for you! No matter your medium, I've got lots of colorful projects and inspirations for you. Pull out your stash of color, surround yourself and breathe in the glow of inspiration that your favorite colors bring you. Then grab a mug, head straight to your studio – whether it's a kitchen table or a light-filled loft – and join me for a journey into color and creativity! Are you a Guild Member, Teacher or Non-Profit? I offer special deals! Are your hands longing to try something new? Welcome to the tactile world of Artful Color in Nuno Felt where a union of silk and wool creates endless new forms of artistic expression! Whether you are new to fiber art or a lifelong felting enthusiast, indulge your creative spirit with the inspiration you've been searching for, and express the colors of your world in a way that is richly layered, full of delightful surprises and generous with colorful possibilities. Create gorgeous color combinations with my unique and easy-to-use Eye For Color color wheel tool. 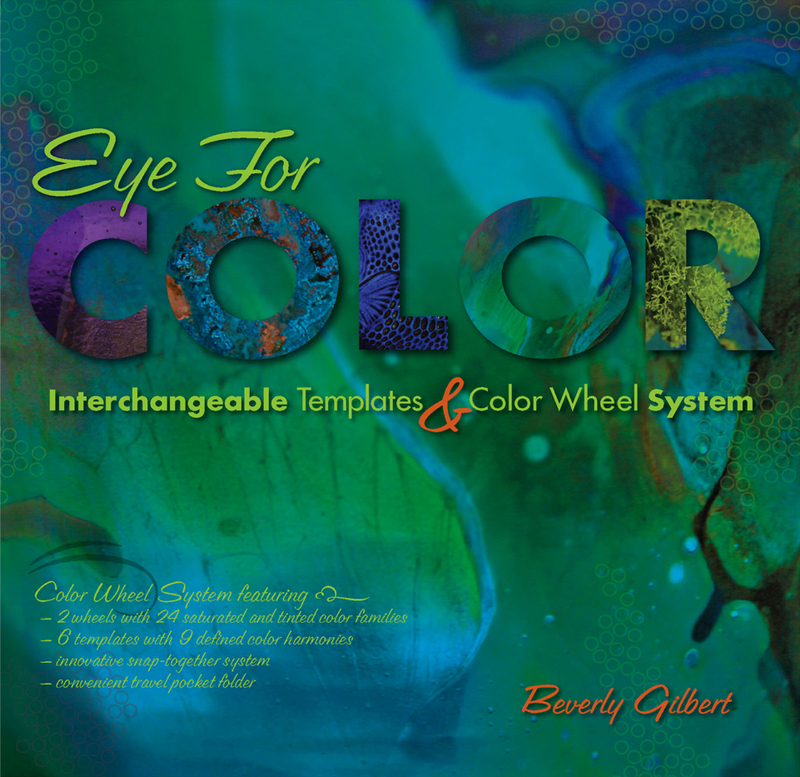 Inside you'll get 2 large color wheels that take you beyond primary and secondary colors. One is rich with saturated colors, the other has softer pastels – both can be mixed and matched. Brochure pages are filled with tips on color harmonies and palettes, and loads of colorful photographs to inspire you. My snap-together design system gives you options to work with the color wheels and templates in the book, or on the go, when you remove and snap together to carry to your favorite beading, sewing, garden or home design store. Eye for Color makes creating beautiful color combinations on the go a snap! Oh, and be sure to check out the additional color wheels that are available as well. Dive into a world of color with Artful Color for Creative Projects! – with luscious photography, expansive color palettes and inspirational works of art. Follow me while I turn images of everyday scenes into stunning new color palettes bursting with depth and movement. Then learn how to use new color palettes in your next creative projects. With a playful approach, you'll learn to gently guide your eye beyond the most dominant colors in a scene to the subtle nuances that can turn an ordinary color palette into an extraordinary one. Play along through pages and pages of artful ideas in a variety of mediums. Working with color is exhilarating! And what better way to play with color than in making bead soups and incorporating them in freeform beadweaving projects? Just as a painter mixes different pigments on her palette, Beaded Colorways will have you creating bead soups that sparkle with depth and movement. 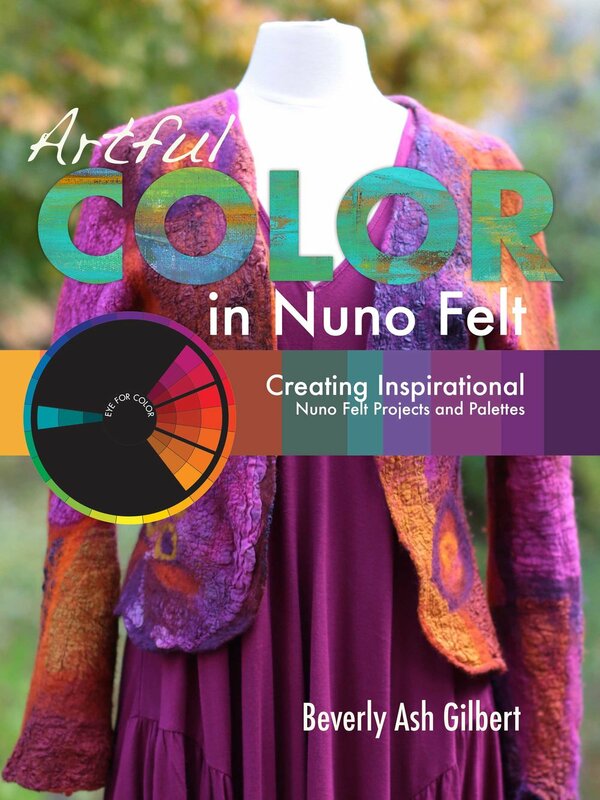 You'll learn how to go from color inspiration, to defining the color relationship, to creating a new color palette with beads. Look inside the back cover for the color wheels and templates I've included to help you create color combinations that really sing. Then jump into the numerous freeform projects for countless ways to use your beautiful mixes, including color-flow techniques for seamlessly blending from one color to the next. It's like painting with beads! Do you love color? Do you yearn to use color in new and different ways? Then come along and dip your fingers into the world of color. We will journey together from inspiration through the various iterations of creating a personal color palette. Along the way, we'll learn the basic language of color in easy-to-visualize steps and understand the importance of color attributes, such as value, undertones and transitions, when pulling colors together. Dip Into Color is a great reference for any artist!